Chicago based brewery Goose Island, in the wake of the Chicago Bears playoff loss that ended with a missed 43-yard field goal by kicker Cody Parkey, put a plan into motion to create an event that would force armchair quarterbacks to put their money where their mouth is. 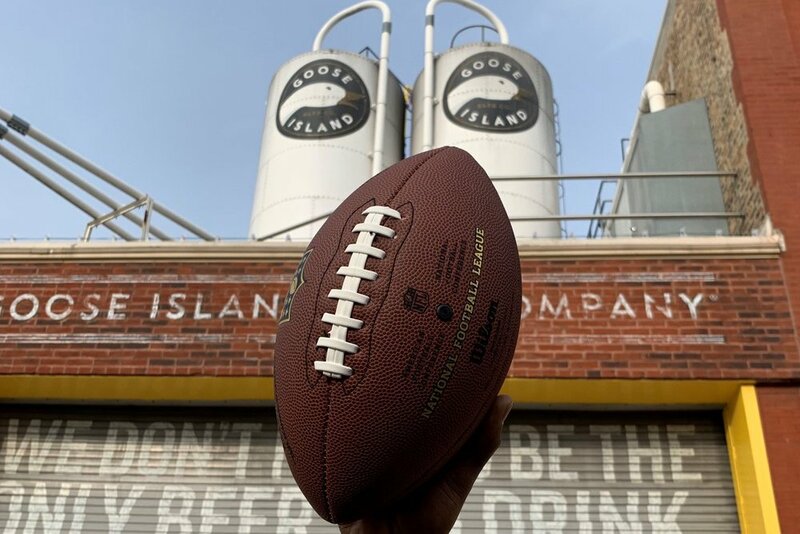 On January 7th, the day following the Bears loss, the brewery announced over Twitter that they would be running the “Goose Island Field Goal Challenge” at their Chicago brewpub that would give fans the chance to attempt a 43-yard field goal for a chance to win free beer for a year. They continued to release information throughout the week over social media and finally held the event on Saturday January 12th on the street in front of their brewery. Of the 100 kickers that attempted this feat, not one successfully made the kick and many failed spectacularly. The event itself attracted thousands of fans and top tier media properties from all over the US including CNN, ESPN, Barstool Sports and many more. Barstool Sports live-streamed the event and got nearly 2 million views through Twitter. In the following few days, hundreds of stories and videos from the event popped up in publications across the US and abroad. The event ended up being an incredible success with almost unfathomable media attention paid. It was impressive to see the breweries marketing team able to put an event on such short notice and use social media to decimate information. In terms of strategy it made good sense for the Chicago based business to be the ones to protect their team/kicker when the city was turning against them. In terms of media coverage potential, they really crafted an event that was sure to intrigue and entertain the masses to ensure great PR pickup for the company. Earlier this week, Gillette released their Super Bowl ad ‘We Believe", focusing on sexual harassment, bullying, masculinity, the Me Too movement and the age old saying ‘boys will be boys’. In a different approach and shift their traditional advertisements, Gillette is taking a more political move that not many other brands in similar positions would do. As the majority of their audience is male, they are directly engaging with their audience and using their influence as a global brand to empower a movement. However, this ad has received an overwhelming amount of backlash from their audience as the YouTube video released by Gillette has receiving to date 1.1M + thumbs down compared to the 600K upvotes. Men who are angry about the commercial are now calling for a boycott of the razor company. The resulting debate has spilled into news and social outlets around the world, with passionate supporters of the brand’s message coming to the defense of the company’s decision. Last week, Canopy Rivers—a strategic partner of Canopy Growth and investment platform structured to pursue opportunities in the global cannabis sector—announced its $9 million investment in Greenhouse Juice Co. This investment represents an early example of cannabis companies partnering with traditional food and beverage brands—with the investment intended to supplement Greenhouse’s national expansion and development of natural health and wellness beverages infused with CBD.